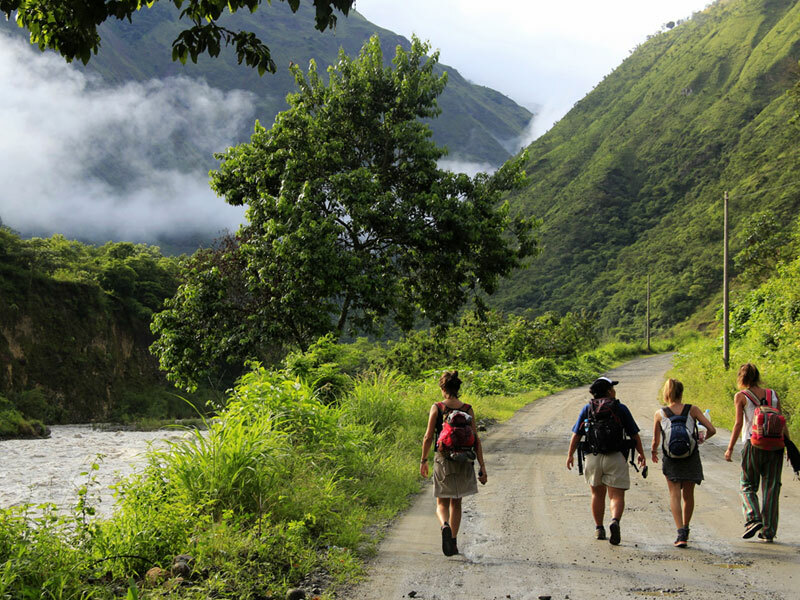 There’s no other route to Machu Picchu more diverse and adventurous than the Inca Jungle Trail. 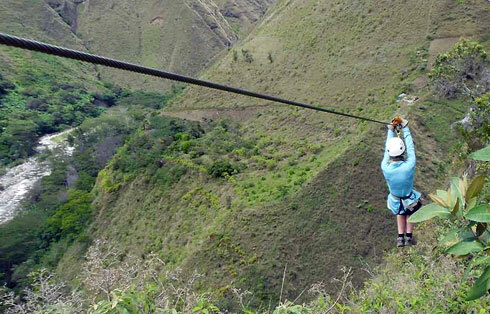 The 4 days/3 nights trail fuses stunning landscapes with a variety of adrenaline-pumping activities such as biking, river rafting, trekking and zip lining. 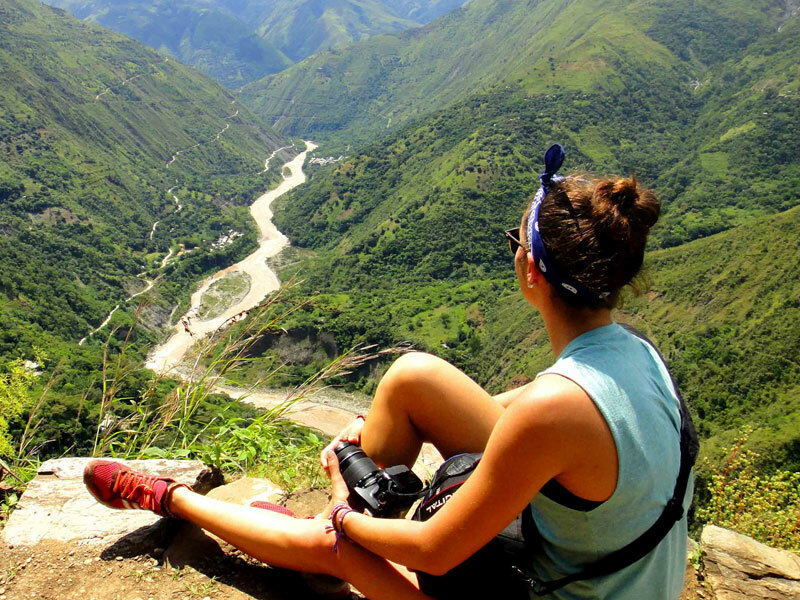 You will cross rivers using cable cars and bridges, hike a part on an ancient Inca Trail, observe monkeys, birds and other animals, taste delicious exotic fruit and relax in the hot springs of Santa Teresa until you finally arrive at Machu Picchu, the highlight of this trip! 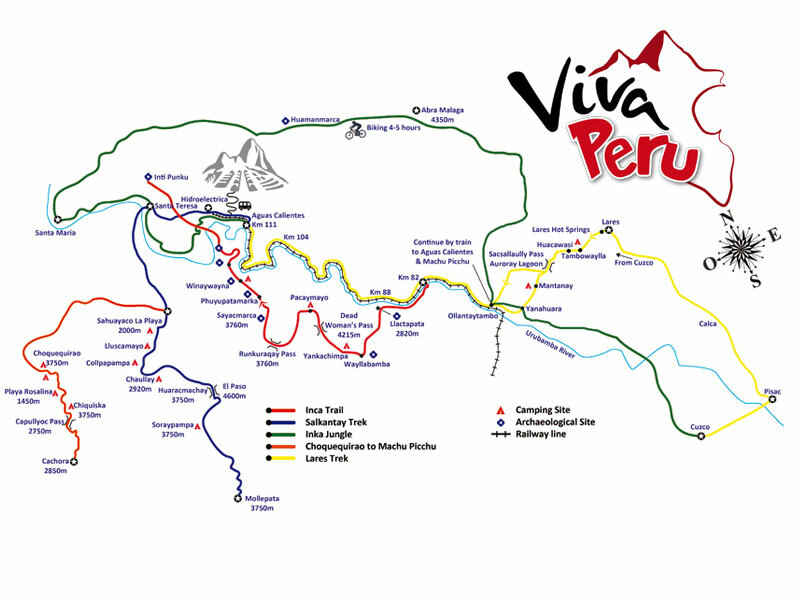 We pick you up at your hostel in Cusco at approx. 6:30am. 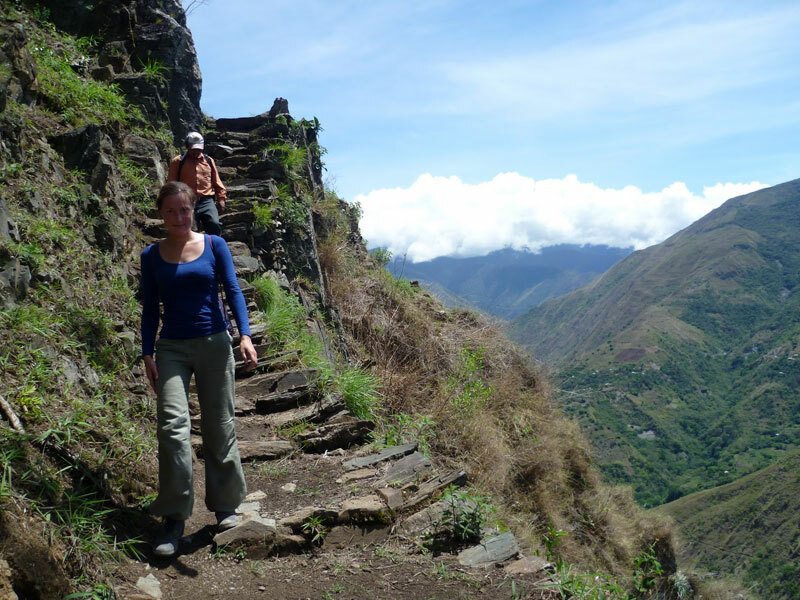 With the rest of the group and your guide you will head towards the Sacred Valley of the Incas. After a short stop in Ollantaytambo we will drive up to Abra Malaga (4300m), enjoying the stunning views until arriving at the pass. 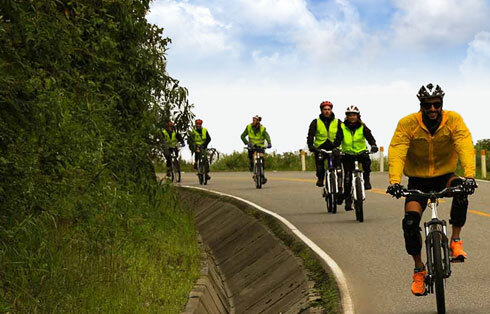 There, we will get off the van and provide you with your biking equipment and mountain bikes – then the first adventure begins: we’ll descend the winding paved mountain road, enjoying the amazing landscape while driving down into a more tropical climate. After approx. 3 hours we arrive at Huamamarca where we take a short break and continue by bus to the small village Santa Maria where we have lunch. You can spend the rest of the day relaxing at the hostel – or go for the next adventure: Whitewater Rafting on the Vilcanota River! 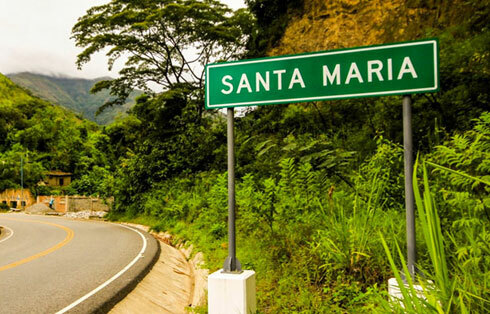 We spend the night at Santa Maria. Today you wake up early to the sounds of the jungle. 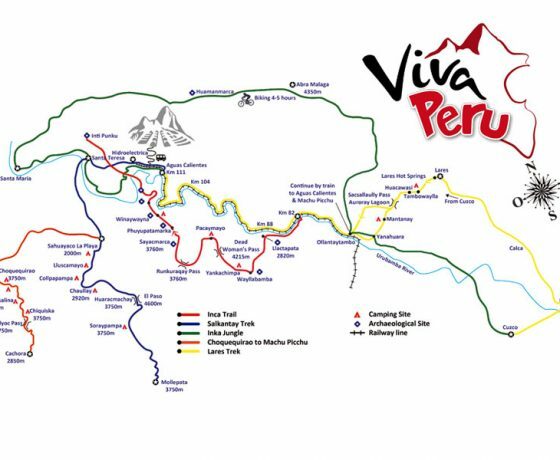 After breakfast we start our trekking, passing through the jungle and walking a section of an original ancient Inka Trail along breathtaking cliffs. We’ll make various stops to enjoy a delicious fresh fruit juices, learn about the vegetation and the Inca culture and observe some animals. After lunch and a short rest in the comfy hammocks, we continue trekking along the Vilcanota River towards Santa Teresa. Shortly before our arrival, we will have to cross the river in a cable car run by locals. We finally arrive at the hot springs of Santa Teresa, where you can take a relaxing bath in the hot waters, enjoy a cold drink and have a shower. A bus or taxi brings us to Santa Teresa where we enjoy a nice dinner and spend the night in a hostel. The first part of today’s trekking will be along a flat and dusty road to the Hidroeléctrica power station (those who stayed out until late or want to relax a little can take a bus). For those who are up to some more adventure, an adrenaline pumping Zip Line adventure is waiting at the Zip Line Park close to Santa Teresa. The group meets at Hidroeléctrica to have lunch, then you’ll start the last part of the trail trekking along the railway. 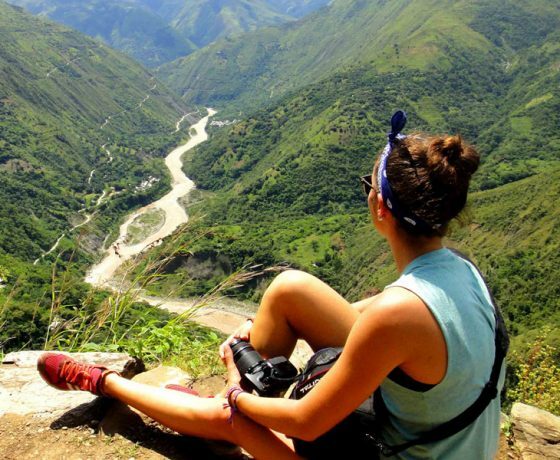 You finally arrive at Aguas Calientes (Machu Picchu town) and check into your hostel. We will enjoy a delicious dinner at a local restaurant with various options to choose from and you’ll have a little briefing with your guide about the next day. Today is the day! You get up early to start walking up to Machu Picchu at around 4:30am, a quite steep ascent on old Inca stairs (approx. 1,5 hours). Optional you can take the first bus (US$ 12.00one way, be aware that you’d have to line up early to catch the first bus leaving at 5:30am). 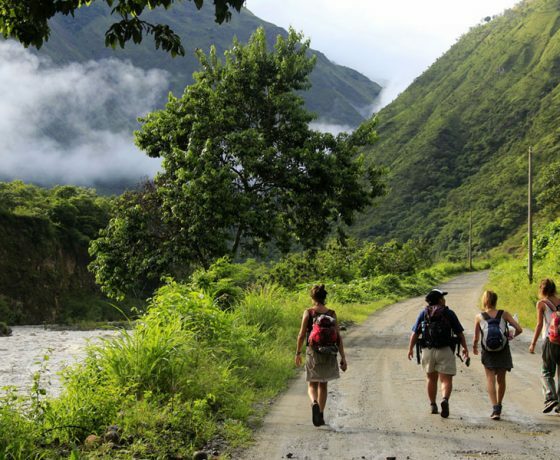 You will meet your group & guide at the entrance of Machu Picchu and be one of the first groups entering the sanctuary that opens its gates at 6:00am. There will be a 2 hour guided tour given by your guide visiting the most important places of the Inca City. 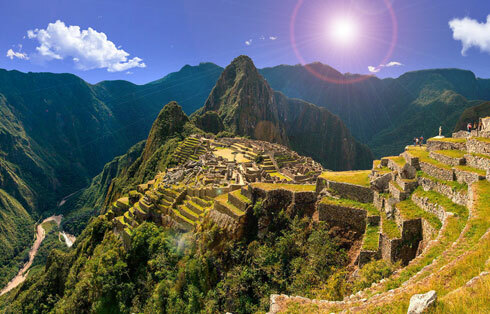 Then you will have the rest of the day to explore Machu Picchu on your own (You can do optional short hikes, for example to the Inca Bridge or the Sun Gate, take the obligatory Machu Picchu photo from the view point and chase the numerous Lamas walking around the complex to take a funny picture. In the afternoon you return to Aguas Calientes (walking down or taking the bus, US$ 12.00 one way). You will have time to pick up your luggage at the hostel and have lunch before your train to Cusco departs (NOTE: there are different train departures depending on availability and tour price. More information below!). An 1,5 hours train ride will bring you to the village of Ollantaytambo in the Sacred Valley of the Incas where a transport will be waiting for you to bring you back to Cusco (approx. 2,5 hours, arrival at Plaza Regocijo in the city center. From there you have to walk or take a taxi to your hostel. There are safe taxis around at any time).